Pray for our Regional Support Teams across Africa. African Leaders and International Volunteers work together on these teams to support the Care Workers and mobilise the local church to effectively care for the most vulnerable in their own communities. As people on these teams come from different cultures and backgrounds, pray for unity and wisdom as they make plans and preparations for the year ahead and strive to serve the Care Workers with grace, love and compassion. "It has been a privilege serving on the Zimbabwe RST. We started the year together in South Africa for the Watchword. During that time, our Father spoke to us through a number of verses. The common theme was a command to be bold and courageous. Since that time, we have faced a number of challenges as we have sought to serve our children in Zimbabwe and Mozambique. These struggles have made me realise that the power belongs to our Father. He is the one who will fight (see Exodus 14:14). I have found myself asking the question 'what can I bring?' The honest answer is 'very little', but we follow Jesus. Just like the little boy in John 6, we bring our vulnerable five loaves and two fishes and through His power, He will make much of it. That's why He deserves the glory." 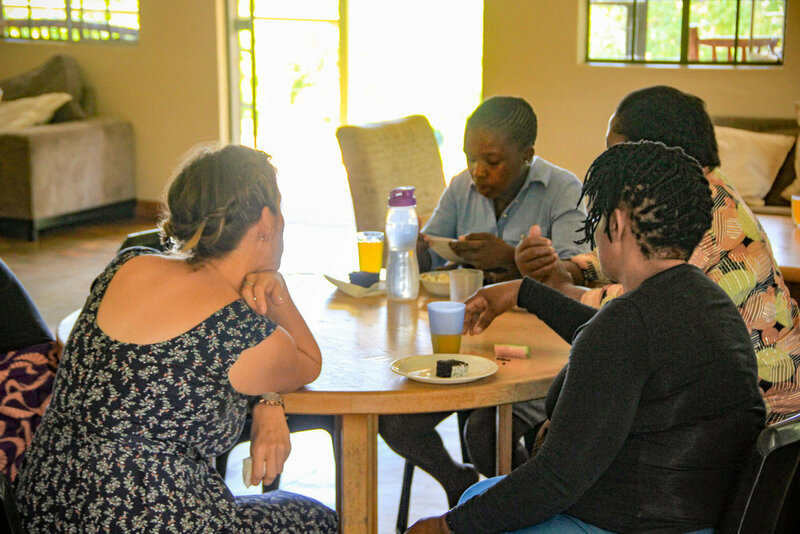 - Kara McLaughlin (International Volunteer, Australia) reflects on being a part of the Zimbabwe Regional Support Team.